PDFAssemble is a Java library to assemble PDF files. 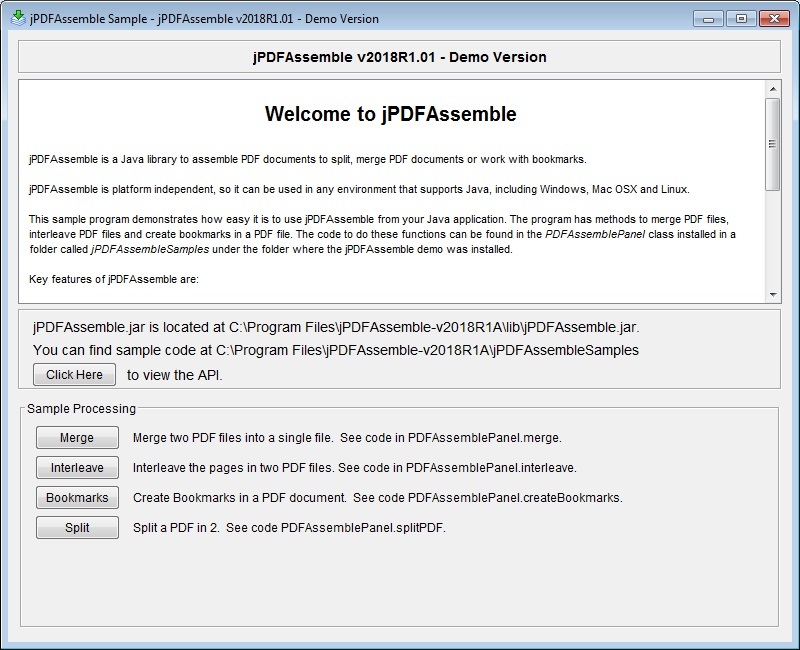 jPDFAssemble can combine, merge, or split PDF documents. jPDFAssemble also allows to add or manipulate bookmarks in PDF documents. The library can save resulting documents to the local file system or to an output stream to be able to serve the documents directly to a client browser without any temporary files when working within a J2EE server. jPDFAssemble is built on top of Qoppas proprietary PDF technology so you do not have to install any third party software or drivers. Since it is written in Java, it allows your application to remain platform independent and run on Windows, Linux, Unix (Solaris, HP UX, IBM AIX), Mac OS X and any other platform that supports the Java runtime environment.